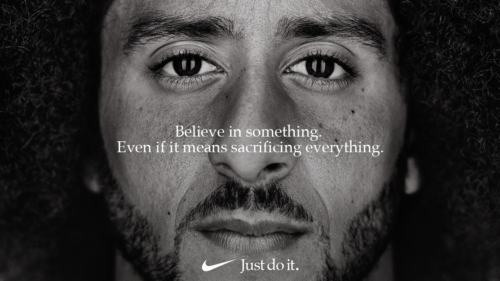 The company Nike, which sells shoes and clothes for sports, has gotten people talking about its new ad. The ad stars Colin Kaepernick, who made news by kneeling during the US national anthem (song). 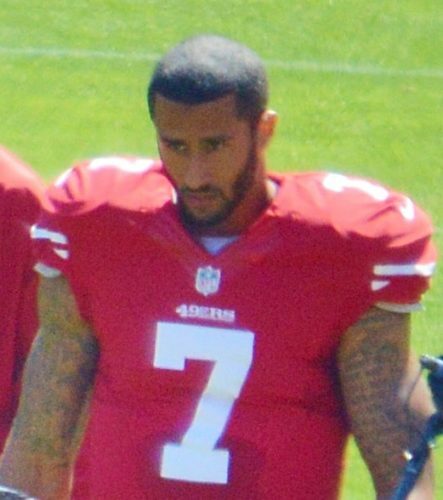 Colin Kaepernick was a pro American football player for the San Francisco 49ers. 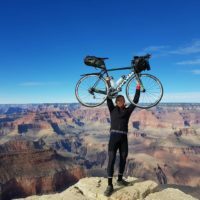 In 2016, he stirred up many strong feelings by going down on one knee during the Star Spangled Banner – the US national anthem. People are normally expected to show respect when the song is played. Many people stand and place one hand over their heart. Colin Kaepernick was a pro American football player. He stirred up strong feelings by “taking a knee” during the US national anthem. 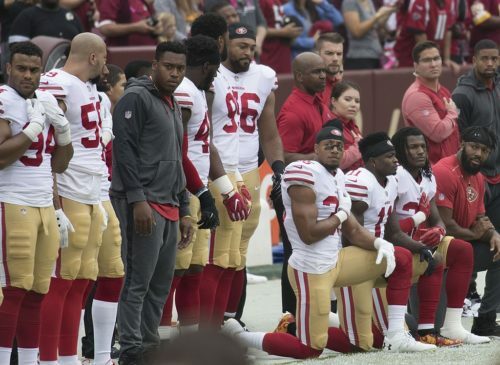 Soon other players in the National Football League (NFL) were also kneeling during the national anthem. Since that time, many other US athletes have done the same thing. Other players in the NFL began kneeling during the anthem. But many people thought the protests did not show respect. But many people thought the football players’ protests did not show respect for the anthem, the US flag, and the country. Donald Trump was one of these people. In 2017, President Trump said that NFL players who protested by kneeling should lose their jobs. At the end of the 2016 season, Mr. Kaepernick ended his agreement with his team. Many players do this because it allows them to get a better agreement with another football team. even though he had helped take his team to the Super Bowl. 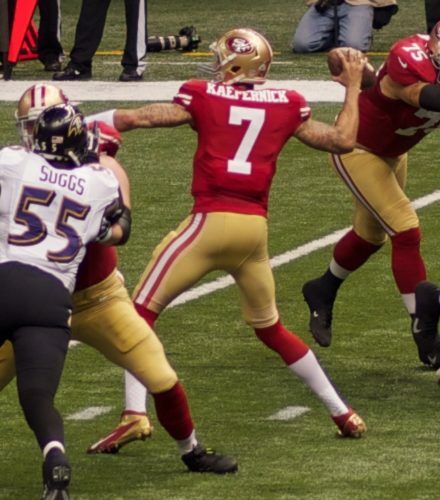 San Francisco 49ers quarterback Colin Kaepernick in Super Bowl XLVII. But even though Mr. Kaepernick had been a star quarterback and had helped the 49ers get to the Super Bowl, no football team would hire him. Mr. Kaepernick is taking the NFL to court. He says the team owners made an agreement not to hire him because of his protests. If that’s true, it would be against the law. Now Nike has made Mr. Kaepernick the star of its new ad. That has some people very excited, and others very upset. Nike has made Mr. Kaepernick the star of its new ad. That has some people very excited, and others very upset. The ad is good news for Mr. Kaepernick, since it gets his message to more people. It is not clear yet whether it will be good news for Nike. Some people plan to protest against the company. A few have even said they will burn their Nike shoes. This is not the first time people have protested against Nike. In the past, people protested the way the company treated its workers in poorer countries. To end those complaints, Nike stopped making its own shoes and clothes. Now they pay other companies to do that. People often say that any ad that gets attention is a successful ad. But in this case, that could depend on how many people are actually willing to burn their shoes to protest Mr. Kaepernick’s protest.